Great Deal Better Hurry In!! Hurry In! Summer's Almost Here! Take car of your Chrysler, Dodge, Jeep, or Ram and save money doing it! Here at East Carolina Chrysler Dodge Jeep Ram Fiat, service is of the utmost importance to us, be it customer focused, or the process of making sure your vehicle is in tip top shape. Anyone who has owned a car knows the importance of regular maintenance to ensure your engine and the rest of your model serves you faithfully for hundreds of thousands of odometer miles to come. One of the ways we make that easier on our shoppers is with our service specials. Whether it's something simple like an oil change or tire rotation, or a more serious malady such as powertrain repair, our Service Center can handle it expediently. 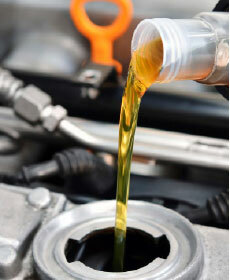 For the more routine stuff, we offer specials to give you a little extra savings the next time you bring your car in! Better yet, our specials rotate month-to-month so you can get better deals each time you check in. Our Greenville North Carolina dealership prides itself on our customer-focused approach to car shopping. From the moment you arrive on our showroom, your needs and continued satisfaction will come first. Every part of your experience, from test driving your car to working out a lease or loan agreement through our finance center should be smooth and hassle-free, regardless of your fiscal situation. The same can be said for our service team. Our certified techs are trained to diagnose and repair issues with any make or model, with an emphasis on our Chrysler, Dodge, Jeep, RAM lineup. Whenever you make an appointment, your time and well-being of your vehicle is our priority. We'll have you back on the road in no time, with no headaches! To learn more about the services and specials that are available through our Greenville, NC dealership, contact our showroom at your convenience. We also serve Rocky Mount, Wilson, Farmville, New Bern, Washington, Kinston proudly!